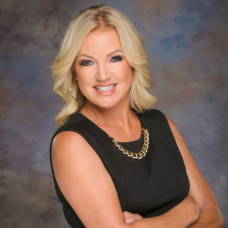 Leaving the corporate world, Lisa started her professional real estate career after relocating to Arizona in 2005 and since has become a global residential relocation expert in the real estate industry. Since her first year in real estate sales. Lisa has consistently earned Top Producer awards with RE/MAX year after year, and in 2011-14 earned pinnacle recognition as both Top Listing Agent and Top Selling Associate in Gold Canyon with Lori Blank & Associates Brokerage.